Our full range of electricians labels include Harmonisation Warnings, Periodic Inspection & Testing, Multiple Supply Warnings, RCD Testing, Isolate before removing cover, Danger 230 Volts, Danger 415 volts and Portable Appliance PAT Testing Pass and Fail stickers. 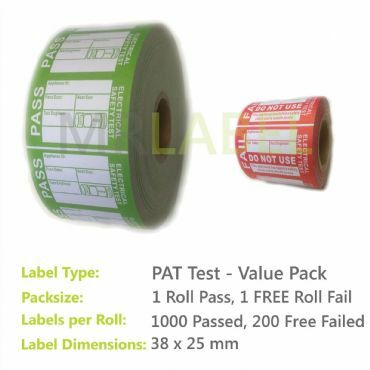 We're so confident you'll be happy with the quality of our Mr-Label branded Electrical labels that we offer a no-quibble money-back guarantee. Simply give us a call or send us an email and our team will be happy to assist you.